Scientists shocked after discovering distant Pluto has skies and icecaps resembling our own. The NASA New Horizons probe has beamed back stunning pictures of Pluto which show it has blue skies and ice caps. 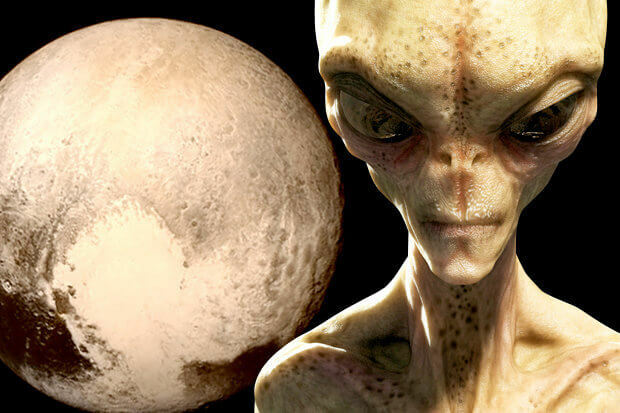 These incredible images prove Pluto has surprisingly Earth-like features, although scientists have not been able to confirm whether it could hold life. Professor Brian Cox recently suggested there could be an ocean beneath Pluto’s frozen surface, which may be warm enough to hold living organisms. NASA scientists were taken aback by the new photographs. “Who would have expected a blue sky in the Kuiper Belt?” asked Alan Stern, New Horizons principal investigator from Southwest Research Institute. The colour of the “haze” reveals important clues about the chemical make up of Pluto’s surface, as well as its atmosphere. “That striking blue tint tells us about the size and composition of the haze particles,” said science team researcher Carly Howett. “A blue sky often results from scattering of sunlight by very small particles. On Earth, those particles are very tiny nitrogen molecules. These tholins undergo complex chemical reactions high above the surface of Pluto, falling back down to the ground where they “add to Pluto’s red coloring”. Although the skies are the most beautiful discovery announced today, the ice could prove to be more important, as it could point to the presence of larger bodies of water. Experts are now examining the pictures in a bid to discover exactly where the water has come from. “Large expanses of Pluto don’t show exposed water ice,” said science team member Jason Cook. Stargazers were hoping NASA would announce the presence of alien life today, after Alan Stern, a planetary scientist for the agency, said NASA would reveal an “amazing” discovery this afternoon. However, we may not find out whether the planet contains real life for quite some time, due to the difficulty of getting to Pluto, Professor Brian Cox said last month. “The New Horizons probe showed you there there may well be a subsurface ocean on Pluto, which means – if our understanding of life on Earth is even slightly correct – that you could have living things there,” he said. 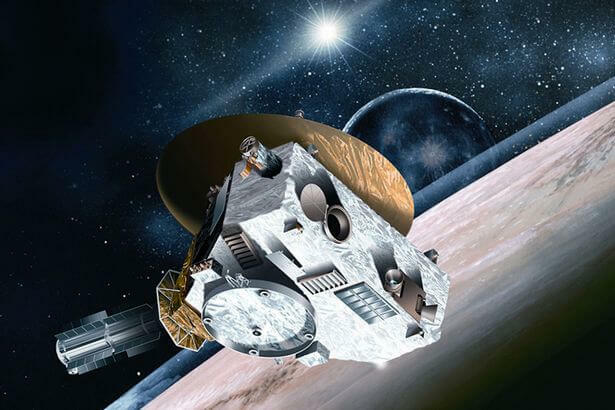 We know the surface of Pluto is very young, which could indicate high levels of geological activity, whilst its also boasts a series of strange nitrogen glaciers. NASA has also suggested an underground ocean could be driving all the activity on its surface.